Docurated Clipboard Overview : Quark Software Inc. 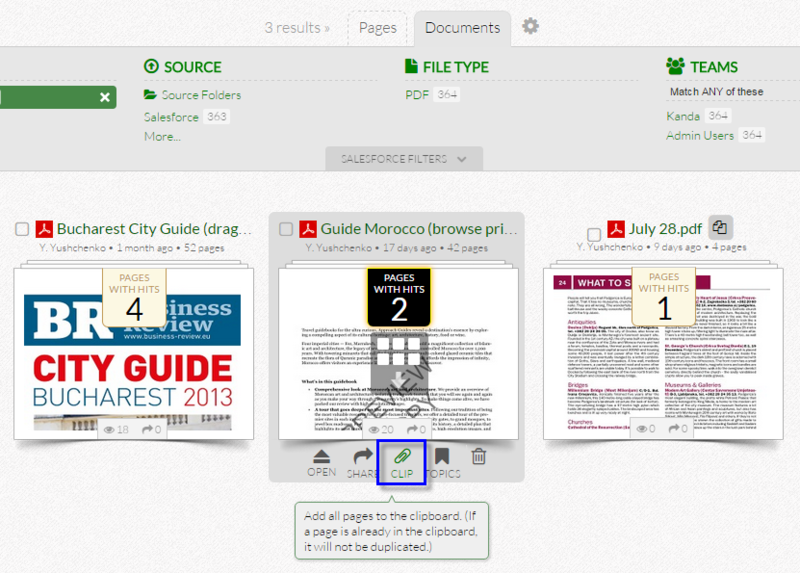 The Clipboard allows you to quickly curate and create new documents based on the existing content you find. Storyboard: Change the order of slides on your clipboard or remove slides from the clipboard. 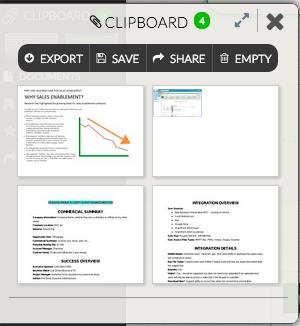 Export: Export content from your Clipboard to your downloads folder. Save: Save your Clipboard content to Docurated. Share: Share a live presentation, through your browser, or with a link. Empty: Clear all the contents of your Clipboard.